I thought I knew better than the weather forecast and ran up to the plot this evening to put in a bit more digging. Hmmmm, won’t be doing that again! I was trapped in the shed for about 30 mins when the heavens opened. It’s a bit cramped in there with my barrow, all the netting and the stuff that should be on shelves but somehow is all on the floor…I did find out that the guttering needs a repair too. There was a sparrowhawk hovering up above in the sunny breaks between the rain – all the small birds in the hedge suddenly went very quiet. 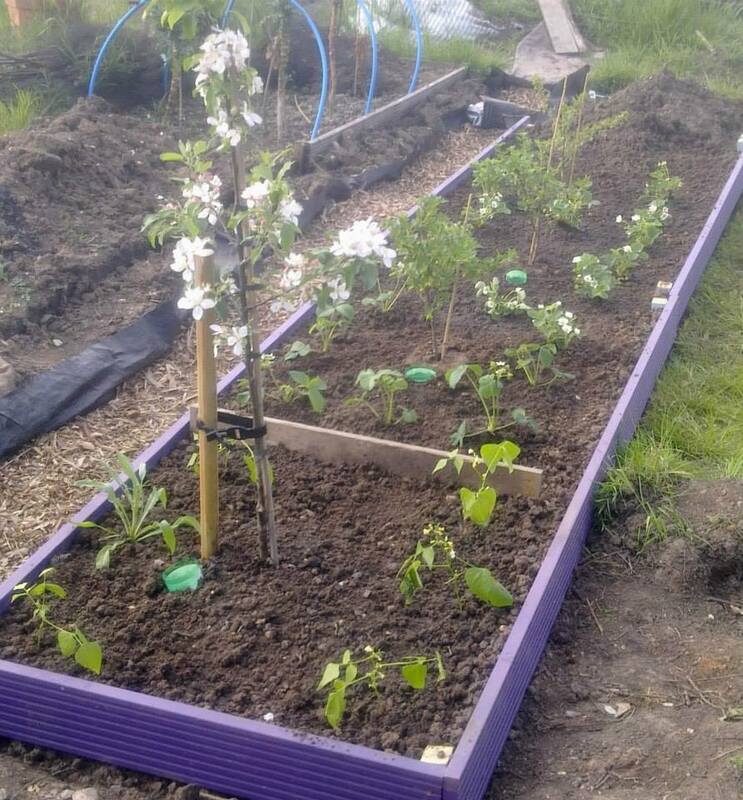 I did get some slugs off the broad beans and had a lovely time planting up the bit of the fruit bed which I’ve dug over – gooseberries underplanted with strawberries and the apple tree – it’s so pretty! I’m off to Devon for the next 4 days, and I can’t help half-wishing that I could stay here and mess about in the dirt.